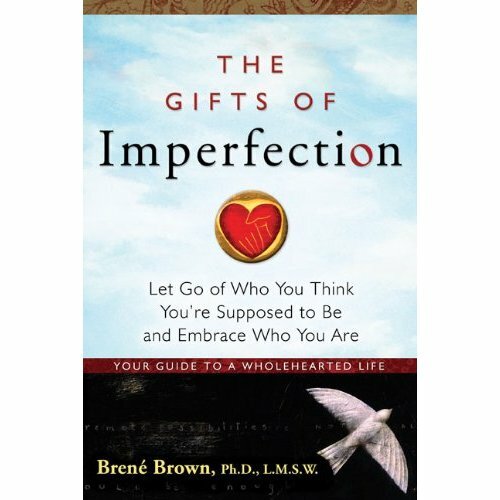 My contention is that anyone, including followers of Christ, would receive some benefit from reading The Gifts of Imperfection by Brene Brown. It is a delightful book about overcoming our shame – the doubt we have about our ability to be loved – and accepting ourselves as imperfect. I’m not sure of Dr. Brown’s spiritual beliefs, and that was a strength from me as I read this book through the lens of a follower of Christ. Her book aligns with the need for the gospel story quite well. She begins with a discussion of shame. What I learned about my own shame response made this alone worth the price of the book. Our attempt is to cover up our shame in order to make ourselves more acceptable and, ultimately, lovable. Awareness is the key. From there, Dr. Brown takes the reader through ten Guidepost chapters in order to help us understand our own shame response and facilitate the acceptance of our imperfection. This is not a step-by-step “how to” manual (my favorite line of the book is the conference organizer that chided Dr. Brown with the words “people want how-to”) and makes no claim to be. Rather, it is an exercise in understanding a significant part of our false self. She calls this process of understanding our imperfections and not rejecting our worth wholehearted living. It is similar to The Lie. In the coming weeks, I look very forward to blogging about this material through the lens of Christ. This book provides a great, well communicated explanation of our need for freedom from our shame. Additionally, it provides motivation for not appealing to other’s shame in our relationships. Throughout the book Dr. Brown makes use of stories and anecdotes to make points. As you read, it is almost as if you are building a relationship with the author. To me, the best book is the one that makes you want to read it again hoping to see things you missed on the first read. This is one of those books. Five stars. Get a copy.